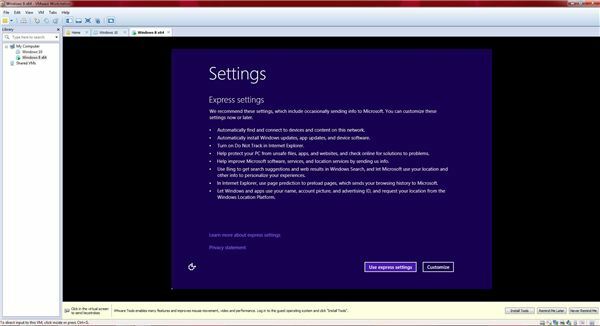 Did you know you can download and install a preview of Windows 10 today? This article will show you how! Before you get started make sure you’ve got the skills and desire to install a technical preview. Technical previews are just that – a look at a new OS that is nowhere near being finished. If you’re a tech enthusiast, have an extra PC laying around (or a copy of VMware Workstation) and like to tinker keep reading. If you’ve never installed an OS before or don’t know what the difference between a virtual machine and an ISO file is you may want to reconsider. In this guide I’ll show you how to register for the Windows Insider Program, download the OS and get it installed using VMware Workstation (Figure 1). Either a PC capable of running Windows 8 or a beefy machine with VMware Workstation. Windows 8 requirements can be found here. If using a physical machine – a tool that can burn ISO files to bootable media – something like Imgburn. Once you have everything you need you’ll need to register for the Windows Insider Program, once there we can download the ISO image and start installation. 1. Navigate to https://insider.windows.com/ . 3. Sign in with your Windows Live account. 5. Click on the link to Install the Technical Preview. 6. Be sure to click on the option to “download the ISO files" (Figure 2). Otherwise you will install the update on the computer you are using to visit the site (yikes!). 7. Scroll down and take note of your product key. You’ll need this later when we do the install. Click on the link to download the ISO for your language and architecture (in most circumstances you should be able to do English (United States) 64-bit (x64). 8. Sit back and wait…. The download is just under 4GB so depending on your internet speeds it may take a bit to download. Once you have the ISO file downloaded we can get started with installation.Open VMware Workstation and click “Create a new virtual machine". 1. Select “Typical" and click Next. 2. 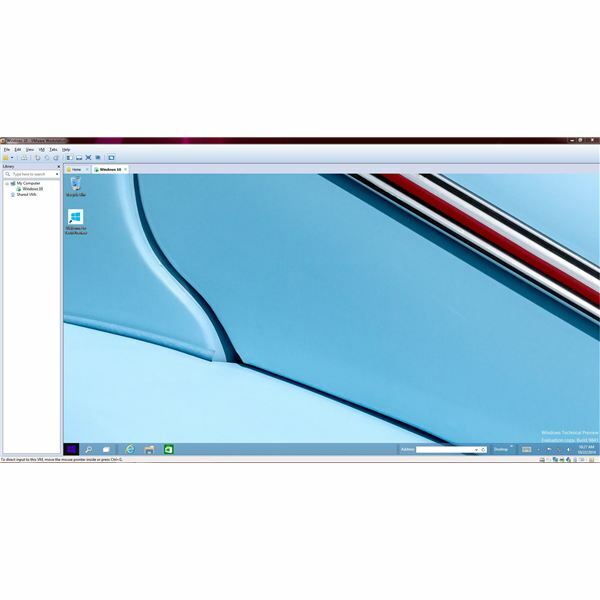 In the Install From screen select “Installer disc image file" and browse for your ISO file. 3. Click Next and select Windows 8 x64. 4. Give your machine a name and installation location and click Next. 5. Specify how large the virtual hard disk should be. Note that VMware will only use the space needed by the OS – it will not instantly carve out this much space. Next, we need to power up the machine and start the install. 1. Click the Green power button. 2. After a moment the Windows logo should appear and you should be taken into Windows Setup (Figure 3). 3. After accepting the license terms be sure to select the “Custom: Install Windows only” option. This will install a fresh copy. 4. Specify the partition sizing and click Install. 5. After a few minutes you’ll be presented with the Settings Screen (Figure 4). You can choose to do the express settings or go for customizing. 6. Next you’ll be asked to log into your Microsoft account. Do so and click Next. 7. Verify your identity and keep working through the steps. Eventually you’ll be taken to the Windows desktop to start exploring. Keep in mind that Windows 10 is still a ways out from being released. Microsoft said “later in the year 2015” so I’d guess we’ll likely see another late fall release like Windows 8. Have fun and be sure to post your favorite new features in the comments! 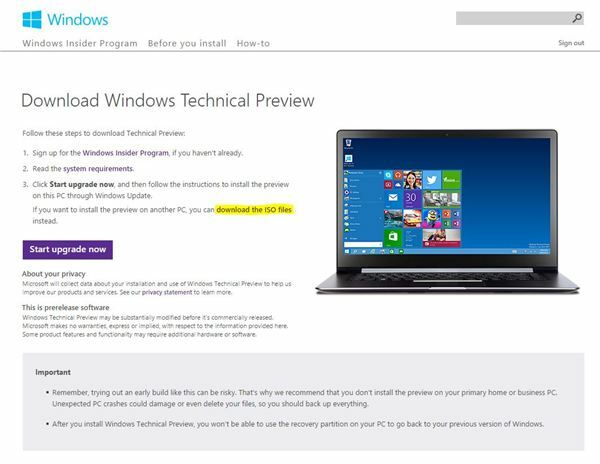 Windows 10 Technical Preview – What’s New and What’s Not? Hold On To Your Seats: Is Microsoft Embracing Linux? Vivaldi Browser - Innovative Ideas or DOA? Microsoft Just Bought LinkedIn, Now What? Windows 10 Anniversary Update – What’s New?